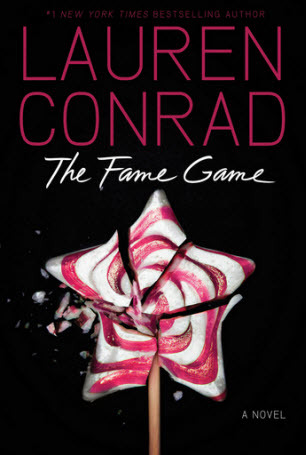 HarperCollins Children's Books announced it has acquired world rights to a new book series by Lauren Conrad called The Fame Game. The series is a spin-off from Lauren's bestselling L.A. Candy novel. The novels explore a reality-tv world of young starlets that is similar to Lauren's world. The first book in the three-book series will be published in Winter 2012. The new series follows a woman, Madison Parker, who is eager for fame. She has already made a name for herself as the best frenemy of Jane Roberts (from the L.A. Candy books). Madison is ready for the spotlight to shine on her but she will have her work cut out getting it. HarperCollins says some of the things blocking Madison's access to fame include backstabbing friends, family, paparazzi and tabloid scandals. Lauren Conrad's novels, L.A. Candy and Sweet Little Lies, were both #1 New York Times bestsellers.